Mendips is an unassuming semi-detached house that was the childhood home of Beatle star John Lennon. Many of the early Beatles' hits were composed at Mendips. Exhibits display memorabilia of John Lennon's childhood, including photographs and documents. Listen to a recording of a lodger telling about his life with the Lennon family during John's youth. 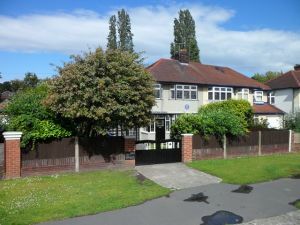 John Lennon lived at Mendips from 1945 until 1963, with his Aunt Mimi and Uncle George. Among the rooms on display is John's bedroom, the lounge, where he composed many of his early songs, and the kitchen, which has been restored to reflect how it would have looked in the 1950s. Visits to both Mendips and Paul McCartney's home at 20 Forthlin Road are only through the National Trust by pre-booked minibus tour. There is no direct foot or vehicle access to either property. Tours depart from Liverpool city centre or Speke Hall, depending on time of year. Please see details on the National Trust website. Though both properties are owned by the National Trust, an admission fee also applies to Trust members. Location: Access by prebooked minibus tour only. See National Trust website for details. This semi-detached property is close to Liverpool city centre and can sleep four people in two bedrooms.